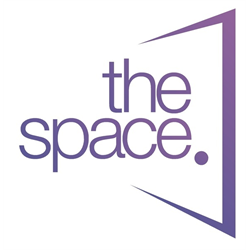 The Louise Project is looking for a Project Manager for The Space – an initiative of The Louise Project. The Louise Project supports families experiencing the hardships of poverty to enable them to build flourishing lives and to transform their communities into places where everyone can thrive. The Project Manager is an exciting new role which will enable the delivery and development of our areas of activity and influence as we aim to meet the needs of those experiencing poverty and discrimination: Community Drop In, Community Integration, Building Better Futures, Building Community and Building for Social Justice. The Project Manager will manage, support and work alongside the project team to ensure a high level of service in accordance with our Vincentian values and ethos: acknowledging the uniqueness and value of all people; recognising individual giftings; exhibiting acceptance and compassion; respecting each person’s dignity and building relationships based on trust, honesty and accountability. The ideal candidate will embrace Vincentian values and demonstrate them in their daily life. They will be passionate about supporting people living with the hardships of poverty and have substantial experience of the voluntary sector in a management capacity. They will be approachable, with a mature outlook to life, flexible in changing circumstances, and with excellent listening and communication skills. They will be adept at time management and highly organised with IT competences. Under Schedule 9 of the Equality Act 2010, it is an occupational requirement that the post holder is female. A PVG is Check required.